Gorghadra, Defender X and Co. are certainly among the more robust creatures. However, when not in action your monsters can actually be quite fragile – if stored or transported inappropriately, sensitive parts may easily break. 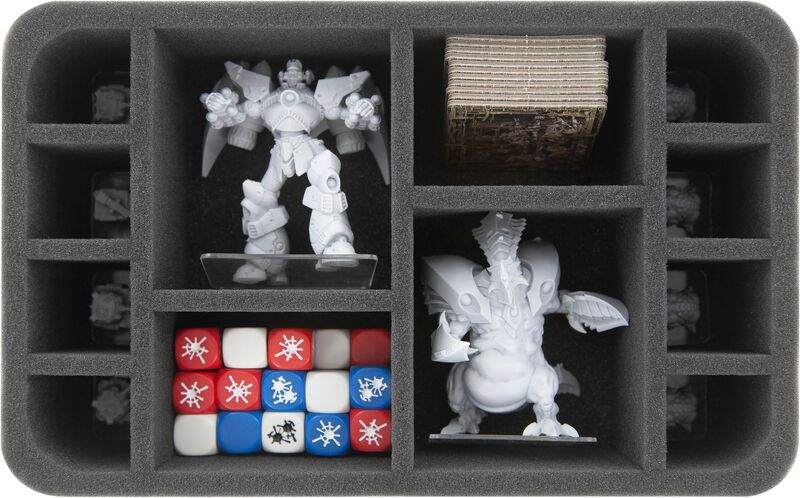 In order to prevent such catastrophes from happening, we created our MINI PLUS with matching foam trays for Monsterpocalypse. 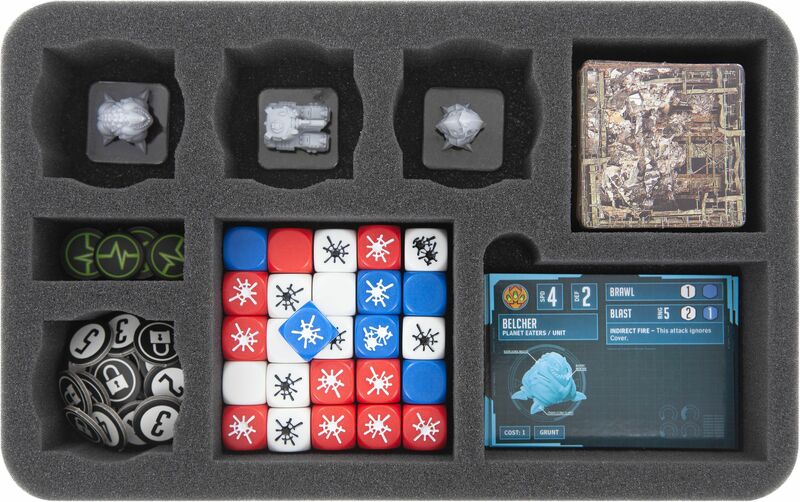 The foam tray with 12 compartments will hold two large figures (e. g. Gorghadra and Defender X) and 10 small figures (e. g. Crawlers, Tanks). 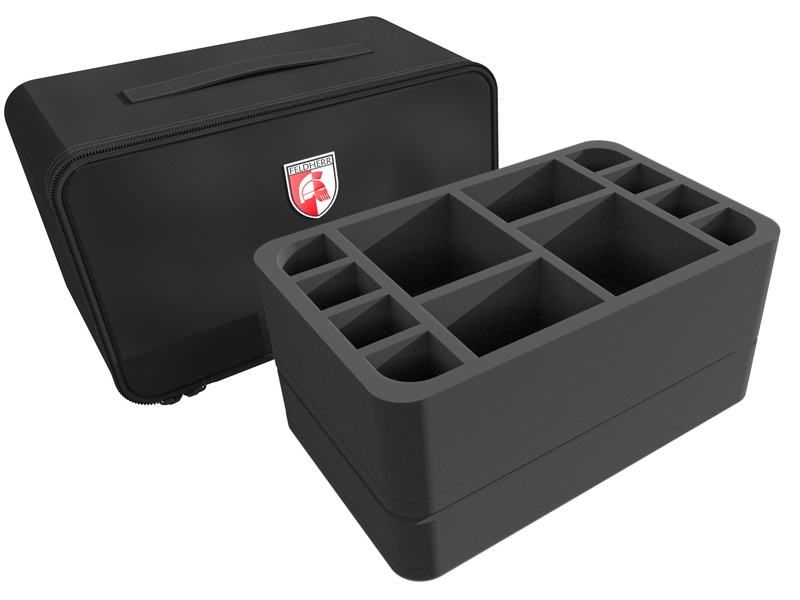 Your monsters – no matter whether Protectors or Destroyers – are gently caressed by our fine-pored foam and thereby enjoy the best possible protection. 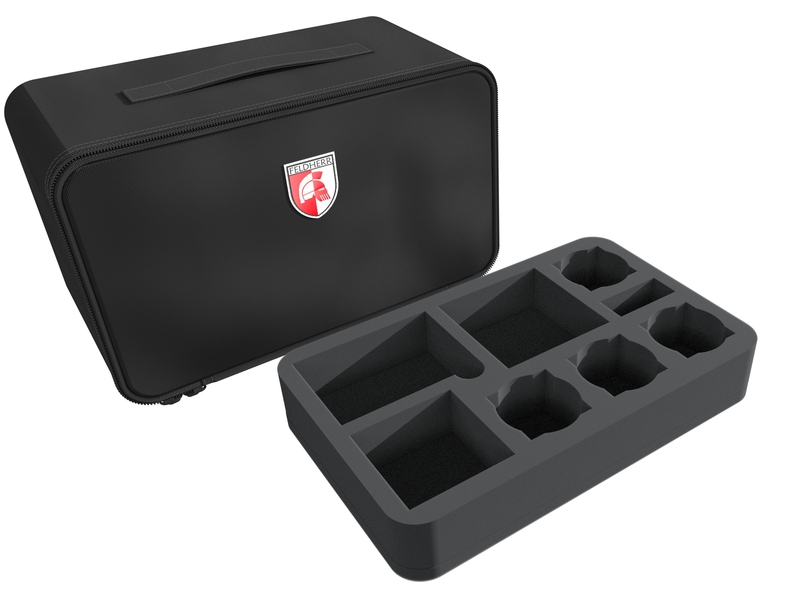 16 further small models find a safe space in the foam tray with 16 compartments. 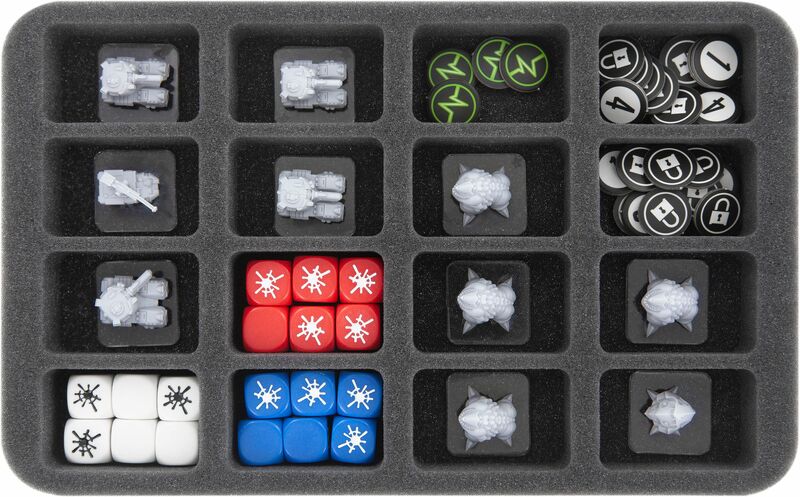 Game material like dice and cards can be comfortably stored and clearly sorted in the foam tray with 8 compartments. 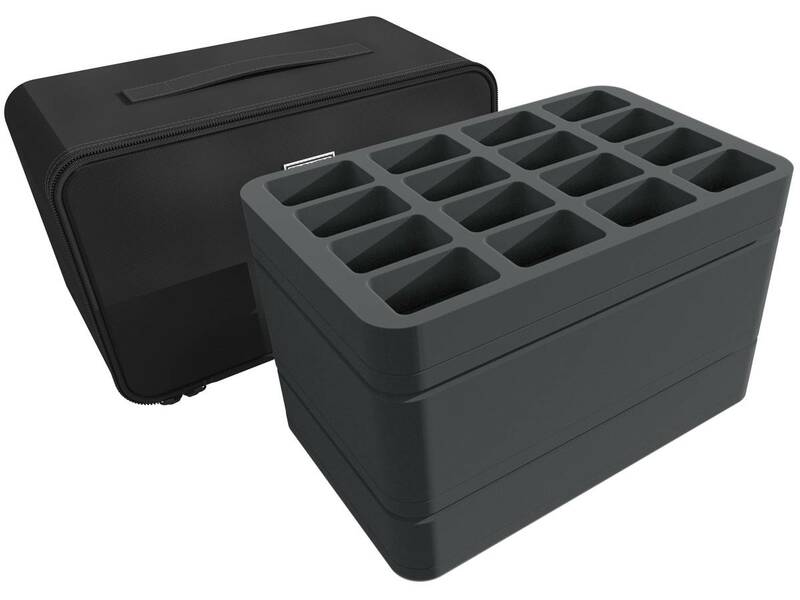 Of course, the trays fit exactly into the robust MINI PLUS bag. 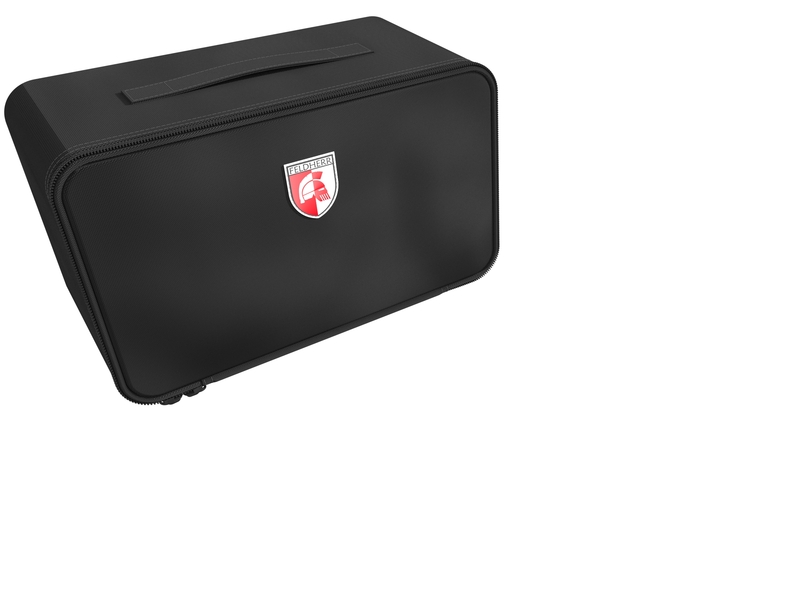 The bag is made of particularly robust fabric and ensures that your monsters are optimally protected from external influences. There is a carrying handle on the top of the bag. A meshed pocket with a zipper on the inside offers additional space. One window pocket on the outside of the bag can hold an insertion card where you can write down your name or the contents. The Set is completed by a matching foam topper. The topper makes sure that nothing can fall out of the uppermost tray.